Truck accidents involving parked vehicles in California are more frequent than they should be. Because semi-tractor trailers are so large, they become huge obstacles to maneuver around when they are stationary on or near freeways. There are hundreds of thousands of trucks that transport goods both in and out of and within the Golden State every year. Much of this traffic is along major east west and north south thoroughfares like the 10 and 710 freeways and the 5 freeway. 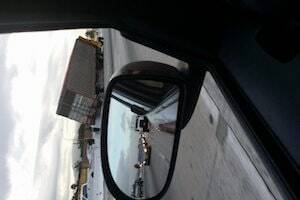 What are the rules of the road for truckers who pull off to the side and how can you avoid a collision in these situations. California Vehicle Code 21718 This statute provides a general prohibition on “standing or stopping” a vehicle on a freeway. The exceptions set forth are as follows: (1) “When necessary to avoid injury or property damage”; (2) “When required by law or in obedience to a peace officer”; (3) For freeway construction or other “official duties” of highway maintenance or other state employees such as the California Department of Transportation (CALTrans); (4) Where stopping is specifically permitted; (5) when necessary to report a traffic accident; and (6) when necessary for rapid removal of impediment by tow truck drivers. California Vehicle Code 22505 This allows CALTRANS to place signs prohibiting stops of vehicles which are six feet or more in height along certain segments of highway including “areas where stopping, standing or parking is dangerous to those using the highway”. Federal Motor Carrier Safety Administration § 392.3 This section prohibits operating a commercial vehicle when the driver is ill or fatigued to the point of being unsafe. However, it states that the driver may operate the vehicle to the nearest place where the “hazard” of being ill or fatigued can be addressed. “Immediately Activate” on emergency flasher signals on the vehicle and continue to operate until additional warning devices can be placed in and around the truck. Unfortunately, there are numerous instances every year where people traveling in passenger vehicles come upon a stationary commercial truck which is parked in violation of the above stated statutes or other rules applicable to stopping an 18 wheeler on a CA roadway and are unable to avoid striking a portion of the truck or rear ending it directly. These incidents often happen at night when visibility is obscured by low lighting or other ambient conditions. It is crucial to have a qualified attorney familiar with truck crash claims analyze the police incident report (most often prepared by the California Highway Patrol) and to have that lawyer conduct his own investigation into the incident by having accident reconstruction experts examine the scene. This should be done as quickly as possible following the collision to help preserve evidence such as skid marks, tire treads, flare burn marks and other physical clues about what happened. Witnesses should be interviewed early on as well. California trucking accident lawyers are best equipped to conduct this type of investigation and analysis and to assure the victims of their best chance of maximum recovery for injury and wrongful death claims related to this type of incident.